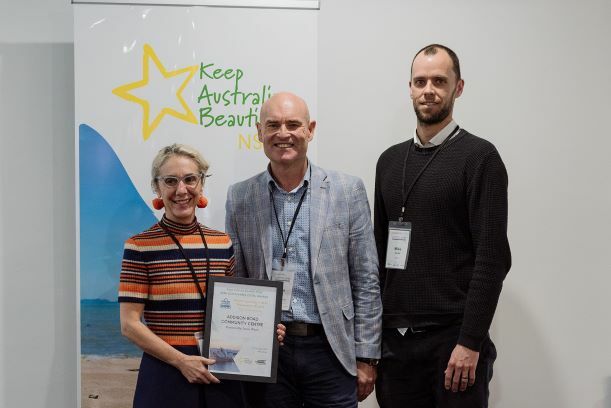 Return and Earn congratulates the outstanding achievements of this year’s Keep Australia Beautiful NSW Sustainable Cities Award Winners. 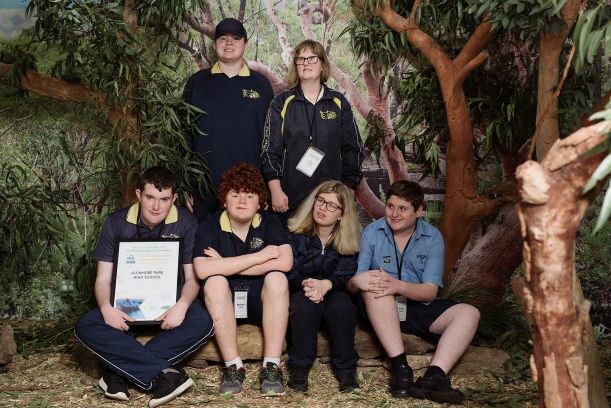 The first-time winners of the Return and Earn Litter Prevention Award are St Vincent de Paul Society NSW (Vinnies) and Glenmore Park High School (Glenmore Park). Vinnies NSW Container Deposit Scheme is an exemplary example of a positive project between a charity, business and the community it serves. In a professional, efficient and a well-documented program it has delivered extraordinary results with almost six million containers collected. This represents a new revenue stream not only for Vinnies but for the vulnerable community and the savvy reuse shopper it serves enabling it to revitalise efforts and improve support services. A big win for everyone. 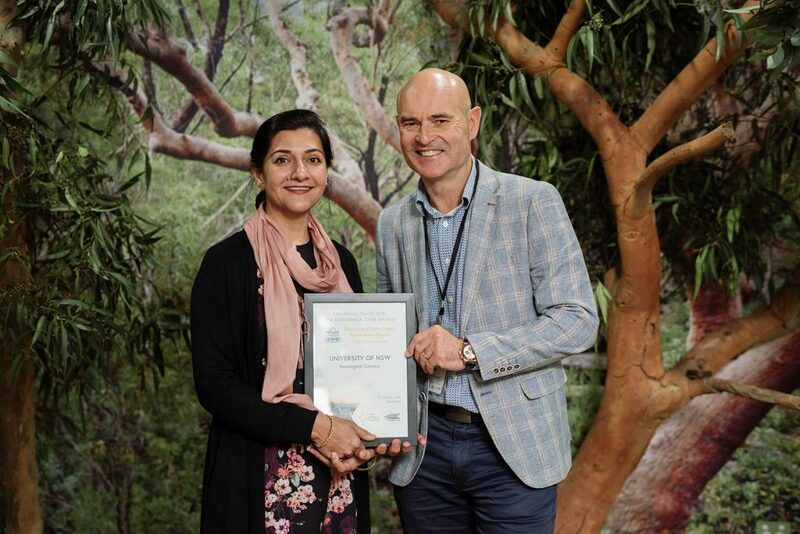 In the Return and Earn Litter Prevention Award schools category, Glenmore Park High School have embraced Return and Earn as a means of teaching students to advocate for improved sustainability, illustrating how they can adopt behaviours for a more ecologically and socially-informed worldview. This project mobilised staff, students, teachers and parents as a means of raising much needed funds for the schools Special Needs Unit with their first goal being to buy a school mini bus. A great project to engage students in environmental solutions. Highly Commended Award Winners in the Return and Earn Litter Prevention category are the University of NSW Kensington Campus and the Addison Road Community Centre. 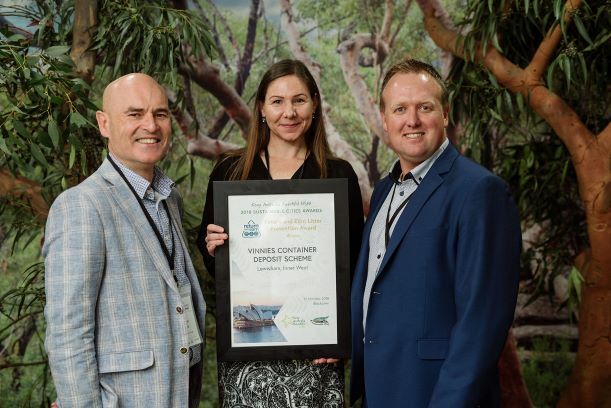 Return and Earn is pleased to acknowledge the exceptional contribution of our Highly Commended Award Winners and their valued communities towards litter prevention and reduction in NSW. More than 810 million containers have been returned to return points across NSW in just over ten months, and drink container litter volume has already dropped by a third since November last year. This demonstrates the positive and immediate impact that waste and litter reduction initiatives can have in our communities. Congratulations to our Winners, we look forward to learning more about your success stories. 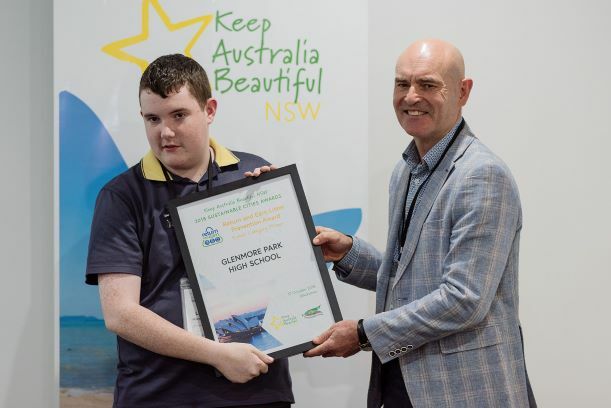 To nominate deserving community members or groups for the 2019 Return and Earn Litter Prevention Award, visit the Keep Australia Beautiful NSW website.